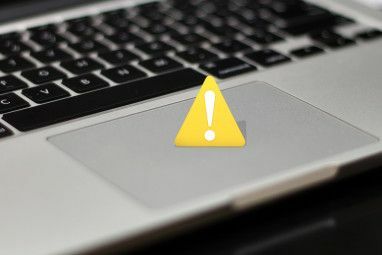 If you’re a new or intermediate user of a Mac, you may not have discovered all the hidden features and other controls you can perform by using the Control key on your keyboard, or the Secondary Click button on a multi-button mouse. Control-clicking brings up various contextual menus of items, depending on if you click on your desktop, a file or folder, or an item in an application, like Safari, iTunes, or Mail. After you go through the list below, you’ll discover how much faster you can get things done by control-clicking instead of heading to the menu bar to perform similar actions. Most new Macs now come with a Magic Mouse – a two-button mouse in which the right side is the Secondary Click or control-click button. If you don’t have such a mouse, you can purchase a third-party one at a pretty cheap price. To use it, simply use your third finger to click the button, and it will reveal a set of menu items. You can also use the Control key on your keyboard to do the same thing. Simply hold down the Control and then click the main left button of your mouse. It works like holding down the “Ctrl” key on a PC using Windows. To quickly learn what control-clicking can do, place your mouse’s cursor on your Mac desktop and control-click using the instructions above. In doing this you get several options, including the ability to create a New Folder, open the Change Desktop Background feature in Preferences, and additional items for managing items on your desktop. If, for example, you have a bunch of files on your desktop, control-click it, choose Clean Up, and watch all your files get neatly ordered. Clicking a file on your Desktop or in the Finder, will also deliver over a dozen hidden items. You can, among other things, duplicate the file, make an alias of it, or send it to the trash. Control-clicking an icon in the Dock allows you to reveal it in the Finder or have it open when you log into your computer. You can also launch the application this way, or remove it from the Dock all together. If you control-click on the dotted space near the right side of the Dock, you can turn on the hiding feature or reposition the Dock on the screen. No need to take your hands off the mouse to empty the trash, control-clicking on it reveals the menu item to do that. Control-click a toolbar of a Finder window and you will get options for quickly changing the views of the window. Notice also there’s a button for quickly removing an item from the toolbar. And the Keep Item Visible button? Well, you select it after you click on a item in the toolbar that you want to remain visible when resizing the window containing that item. In other words, the item never gets hidden. Control-click some text and you will get lots of time saving options, including the ability to copy and paste that text, Google search a word or phrase, or perform spell check functions. If you have a bunch of files you need to email or post on a server for downloading, you can select and control-click on those files, and then choose “Compress…items” from the contextual menu. This action will copy all the files into a zip file that can be opened up by you or the recipient of that file. This saves you the trouble of emailing or uploading all the files individually. Control-clicking in Safari gets you several time saving contextual menu items. If for example you control-click on a bookmark in the Bookmarks bar, you get the option of opening the bookmark in a New Window or a New Tab. You can also choose to edit the name of the bookmark or its address. Click on an empty spot in the Bookmarks bar and you can quickly create a new folder. Depending where you control-click on a webpage, you can get several menu options. Click on a blank space on a page and you get the option to reload the page, print the window, or tab backwards. If there’s a photo or a wallpaper file on a webpage, you can control-click on the file and do several things, including adding that image directly to your iPhoto Library or saving it to your Downloads folder. 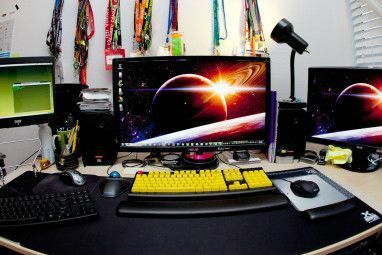 If you click on a wallpaper image on a page, you can select the “Use Image as Desktop Picture“ and instantly have your desktop background changed to that selected image. If you control-click the Mail icon in your Dock, you get the option to start a new message or note, or to manually download new incoming mail. Control-clicking individual messages in your Mail application allows you to quickly reply to or forward that message. There’s also items for marking a message(s) as read or unread, or deleting it all together. Similarly, control-clicking on the iTunes icon in your Dock allows you to do a number things like rate a playing song, pause play, or move to the next song. When you control-click on a track in iTunes, you get more than a dozen options. In fact nearly every significant item in the iTunes menu bar can be reached in its contextual menu. In the latest version of iTunes, you can favorite a track for your Ping account, pull up information about the track, rate it, or create an AAC or other MP3 file format of the track. Control-click on a photo in iPhoto and you get the options to rate it, hide it, copy it, throw it in the trash can, or open it in the editor. If you want to create your own contextual menu items, check out my article, How to Create Your Own Services Menu Options on Mac How To Create Your Own Services Menu Options on Mac How To Create Your Own Services Menu Options on Mac Read More . Using an application called Automator, you can create actions to automate all kinds of tasks, including resizing folders and batch changing the names of files. By now if you have got the hang of control-clicking on items, you will discover that different applications also feature contextual menu items that can save you the trouble of heading to the menu bar or using shortcut keystrokes. So before heading to the menu bar, control-click first to see what you get. If you know of other hidden contextual menu items that I overlooked in this list, please share them in the comment section. And if you’re interested in learning more about Mac automation tips, check out my free MUO Mac Automation Guide. I don't use this function as I'm a "right click" kind of girl. However there is a web- based program, I LOVE that uses control- click as one of its keyboard functions. So now whenever I want to use it I end up getting the right click menu. Is there a non-third party way to remove it? It took me ages to figure out you meant "right clicking" - what is this control-click thing you speak of!? James, it refers to when old down the Control-key to perform the same action that you get when right-clicking. I kinda used the term for those new to the feature, and for those who may not know about right-clicking. 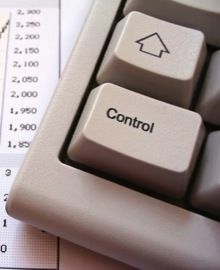 It is not control click! It is command click! 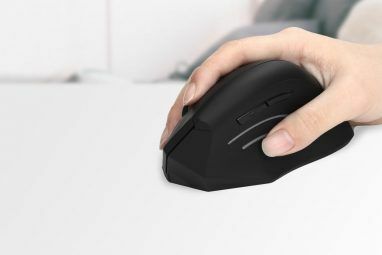 If you take a 2 button mouse made for a windows machine and throw it on a mac the right click is the same as the control click, which makes a very smooth transition from Windows because most of the features that show up in control click are about the same as you'd get on windows with right click. Is it possible to have this article for windows and ubuntu? Great question, Ludo. More than likely one of our MUO Windows or Ubuntu-using writers might be able to address this in an article. Thanx for asking. --- check the "Tap Trackpad using two fingers for secondary click" option. Then you can show secondary menus with a simple two finger tap, like scrolling. Oh yeah, thanks for pointing this out. It’s exactly what I do on my MacBook Air. Oh yeah, thanks for pointing this out. Itâ€™s exactly what I do on my MacBook Air.